.38 ACRES fronting Lakeshore Drive, in LAKE ELSINORE. Located in the East Lake Specific Plan it is currently zoned High Density Residential proposed to become Commercial Mixed Use. 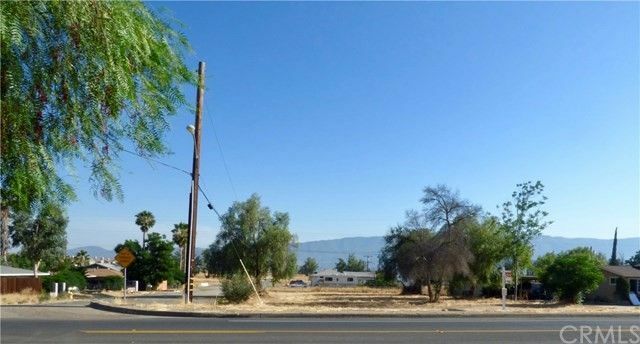 This Elsinore Lake Park Tract corner parcel has 4 separate lots. Numbers 1 and 2 on Lakeshore Drive and lot numbers 78 and 79 on Herbert Avenue. Flat 90'+- X 180'+-. Two units adjacent property. Less than 1 mile to historic Main Street, which is a redeveloped portion of Lake Elsinore's Master Plan. Less than 1/2 mile to the major corner of Lakeshore Drive and Diamond Drive. Close to the I-15 interchange. Easy commute and also turns into Railroad Canyon Road to Canyon Lake or the I-215. Lake Elsinore is the FASTEST GROWING city in Riverside County. Over four+ million population. 10th most populous County in the United States. BUILDER/DEVELOPER OPPORTUNITY! Directions: I-15, exit Diamond Drive, left to lakeshore, right to Herbert. Improvements: Improvements: Lakeshore paved and utilities in Street. 4 lots. Lakeshore Avenue frontage.